My interest for waste started 13 years ago in Cambodia. I was volunteering there in the AIDS prevention sector and got asked to help one day with the kids working on the dumpsite near Phnom Penh. I couldn’t believe my eyes when I saw all those young kids working 10 hours a day bare hands or with a hook to find recyclables in this immense dumpsite. None of them was going to school and they were earning a few euro cents per day for their findings. Lots of them were injured by the sharp items in the dumpsite or by the metal hook they were using. Needless to say that it was a perfect environment for infections to develop. But what amazed me the most was the big smile on their face despite the tough life they were having. But why had those kids to live in our trashes all day? When I arrived in Montenegro, my first thought was: OH! What a stunningly beautiful country! But then shortly followed by: AH!! What a shame that the nature is so trashed…! I am still confused by how a country can proudly declares itself the first ecological state is not taking basic measures to avoid its nature being littered. So I started a small initiative to tackle this problem, then one day I came across the Foundation of Zero Waste Europe who didn’t have a member in Montenegro. After meeting their team in Brussels, we soon decided to create Zero Waste Montenegro. Thanks to the support and broad experience of all its members, we have learned a lot in a short time and have now access to lots of resources to work on similar issues that other countries are facing or have faced in the past. Changing mentalities is of course key to solving the problem. People needs to understand that they must take responsibilities for the waste they create if they want to leave a livable planet to our children. And when I say people, I don’t only mean us as consumers, but it is also those of us who are producers who wrap their products in single-use packaging or don’t make their products durable/reusable/recyclable, those of us who promote those products, it is those of us who represent our Government and do not fight to take and enforce measures to make our economy become more circular. Did you know(*) that humans have created 8.3 billion metric tons of plastics since large-scale production of the synthetic materials began in the early 1950s, and most of it now resides in landfills or the natural environment? There is a fast-growing movement in the world to start living with producing minimum waste. Our role is to explain to everyone why they need to do it, and how they can do it. Zero Waste Europe works closely with the EU commission to get the laws changed. Zero Waste also supports companies to redesign their products and packaging to make them part of the circular economy. And finally the Montenegrin government has a major role to play by implementing the right policies and enforcing them. 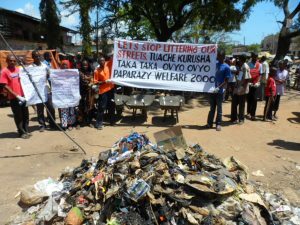 If Rwanda has been able to ban all plastic bags from its country for years, why couldn’t a small country like Montenegro also do it? 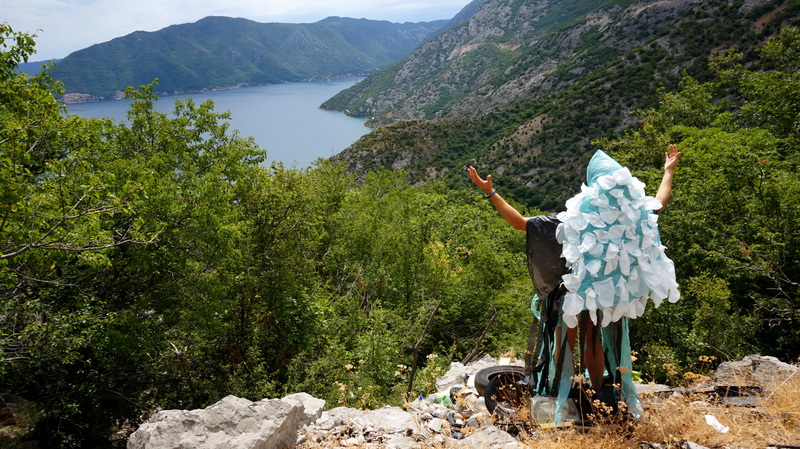 We also want to work on projects which can have a direct impact on the level of waste being collected, recycled or reused, we have started a collaboration with Deponjia to advise them on improving the efficiency of their waste sorting facility, we also want to support one municipality to become the first Zero Waste Municipality in Montenegro which would be a major achievement. At the moment we are a small team of volunteers working on all those issues with a limited budget, so we are looking for new volunteers with various skills, and financial support to help us achieved our goals, as there is so much to do! Are you ready to support Zero Waste Montenegro in making Montenegro a better place to live? (*) journal Science Advances. Study led by a team of scientists from the University of Georgia, the University of California, Sea Education Association and University of Santa Barbara. This study is the first global analysis of the production, fate and use of all plastics ever made.